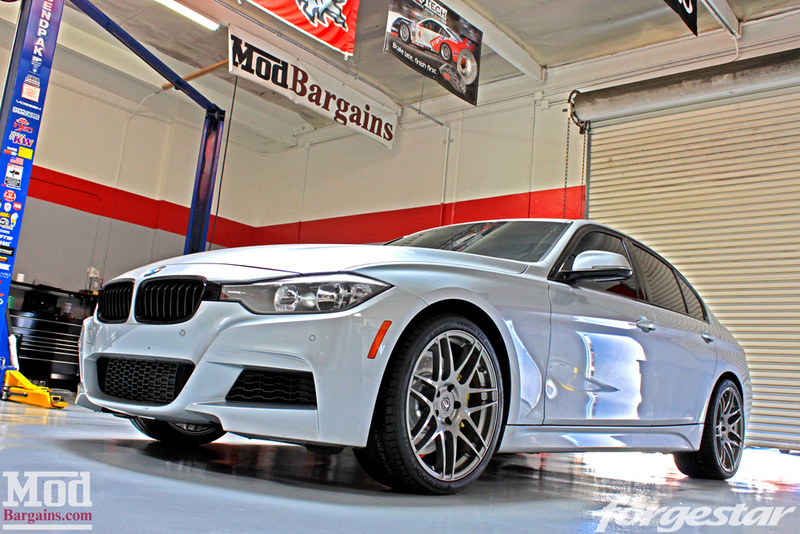 A while back, Dan Eaton brought in his freshly acquired F30 BMW 328i to Sr Mod Expert Alan Wei, one of our BMW specialist Mod Experts here at ModBargains and the shop at ModAuto, who overnight seriously beefed up the performance of Dan’s F30 with a BMW M Performance Big Brake Kit for F30 and a set of Forgestar F14 wheels for BMW F30. 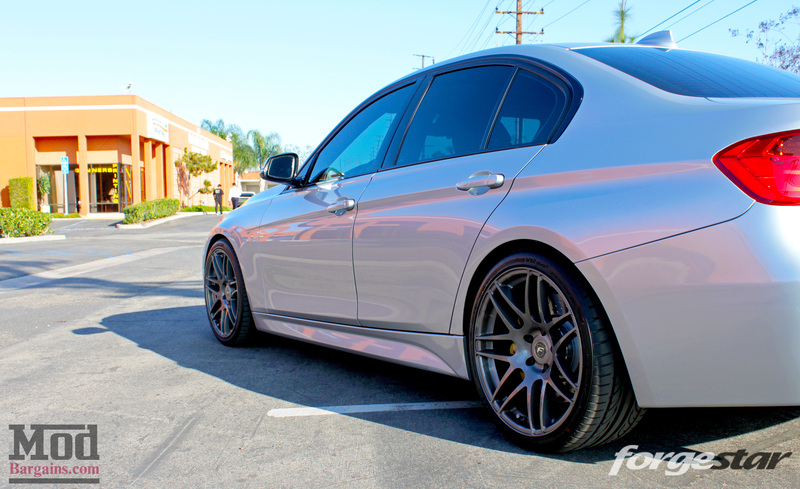 True to his word, Dan came back to lower the F30 to complete the look he started. 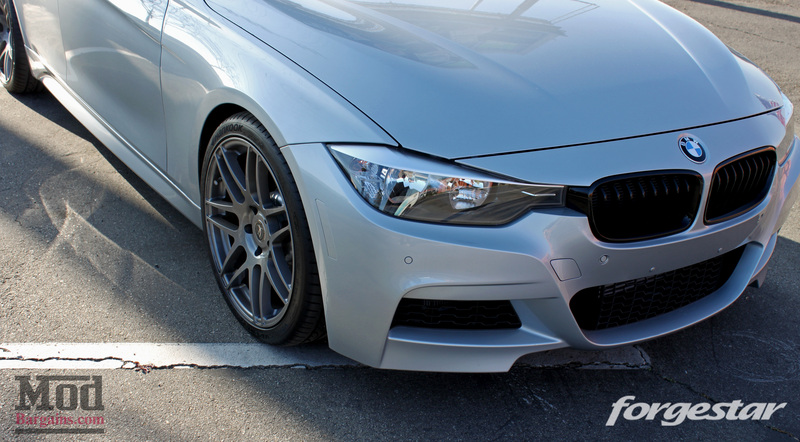 One of the easy add-ons that cleaned up the front of the car was a set of Painted Front Reflectors for F30– check out what we mean by comparing it to how it looked the last time. 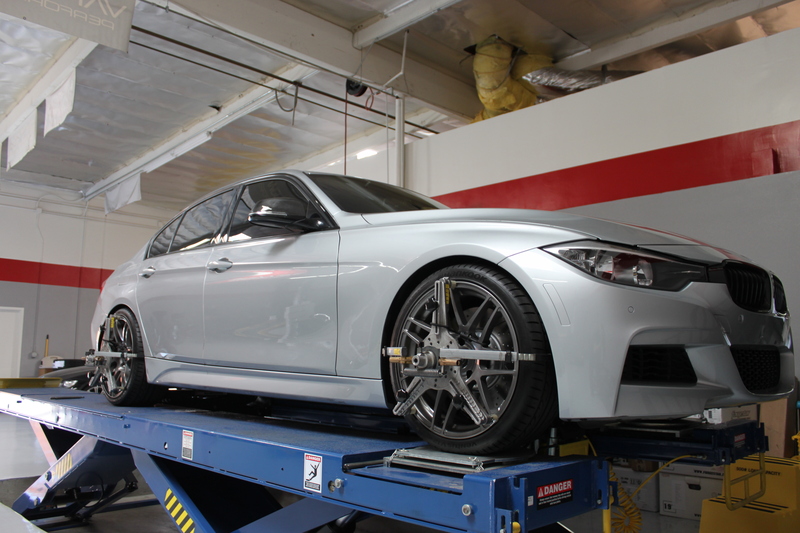 As you might’ve noticed, Dan lowered the car as well, fitting it with a set of Eibach Pro-Kit springs for BMW F30. And when you lower a car, it’s a good practice to have the car aligned as well – allowing us to put our new In-Ground 4-Wheel Alignment Rack to good use. But that wasn’t all Dan had in mind. Alan Wei knew just the trick to give the N20 much sharper response and a lot more power to the wheels. 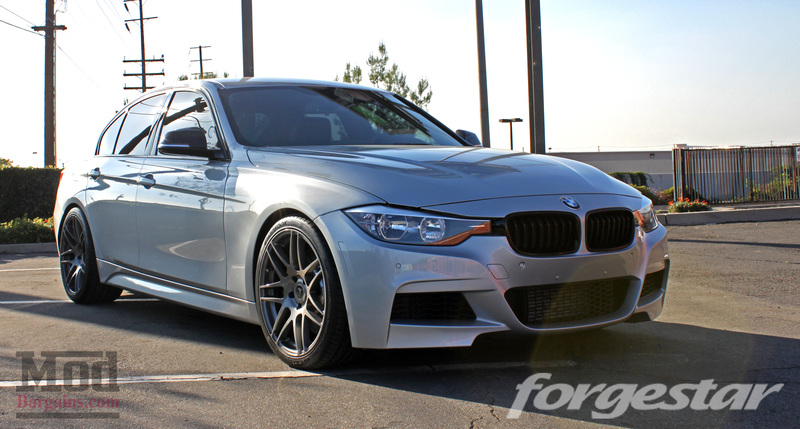 In addition to the Intake, Exhaust and suspension, Dan and Alan collaborated on picking out a few choice aesthetic exterior mods for BMW F30. Like these choice Carbon Fiber Mirror Caps for BMW F30. The Carbon Fiber really looks boss in the light of the setting sun, don’t you think? A slightly different angle caught all the detail of the carbon fiber weave. Glorious. 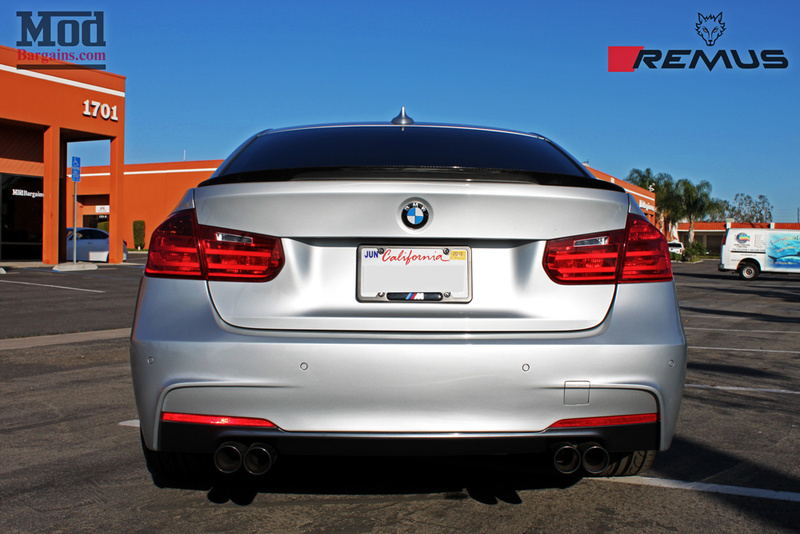 Of course, if you do one carbon fiber accent, you need to have something else to tie into it, so a Performance Style Carbon Fiber Trunk Lip Spoiler for BMW F30 adds a nice bit of extra flair, and compliments the Remus Quad Exhaust’s black tips brilliantly. So after scoping out all the details, let’s take a step back and look at how the whole package looks together. We’d have to say the end results speak for themselves, and Dan’s 328i has a sporty, aggressive look and performance to match, yet still is perfectly functional as a daily driver. 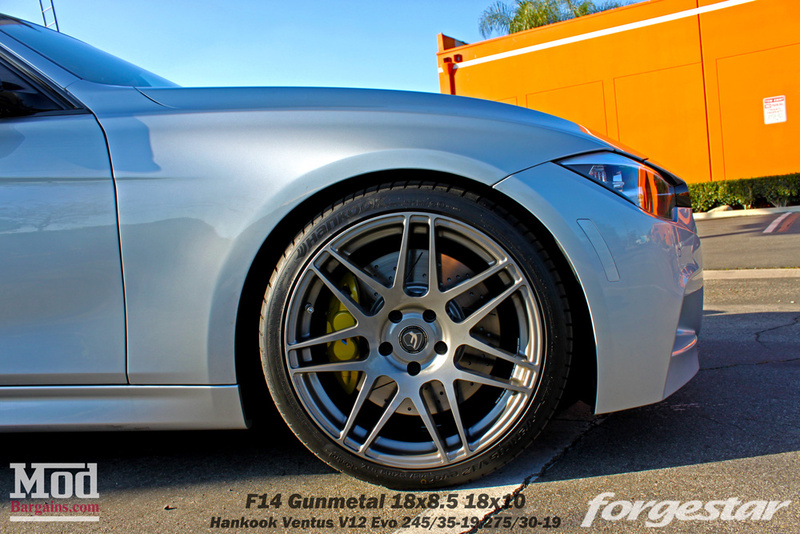 Interested in modding your BMW F30? Give the Mod Experts like Alan a call at 714-582-3330 (x8006 for Alan), chat live at ModBargains.com, or stop by the ModAuto showroom in La Habra, CA. We hope you enjoyed the photos! Thanks for joining us, we’ll see you next time.